YU Televentures today held a launch event in New Delhi, India. 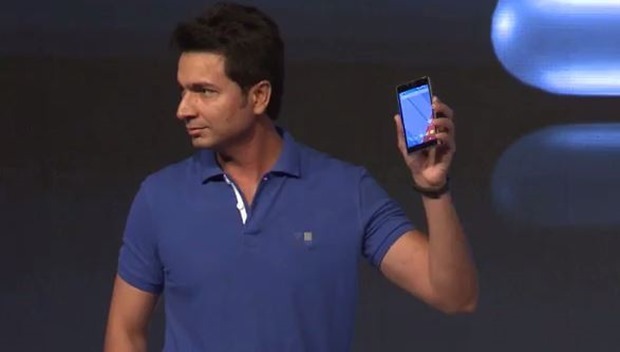 At the event YU’s founder and CEO Rahul Sharma announced the company’s flagship device i.e. YU Yuphoria. The device has been buzzing for couple of weeks now, and has been unveiled at extremely competitive price point. 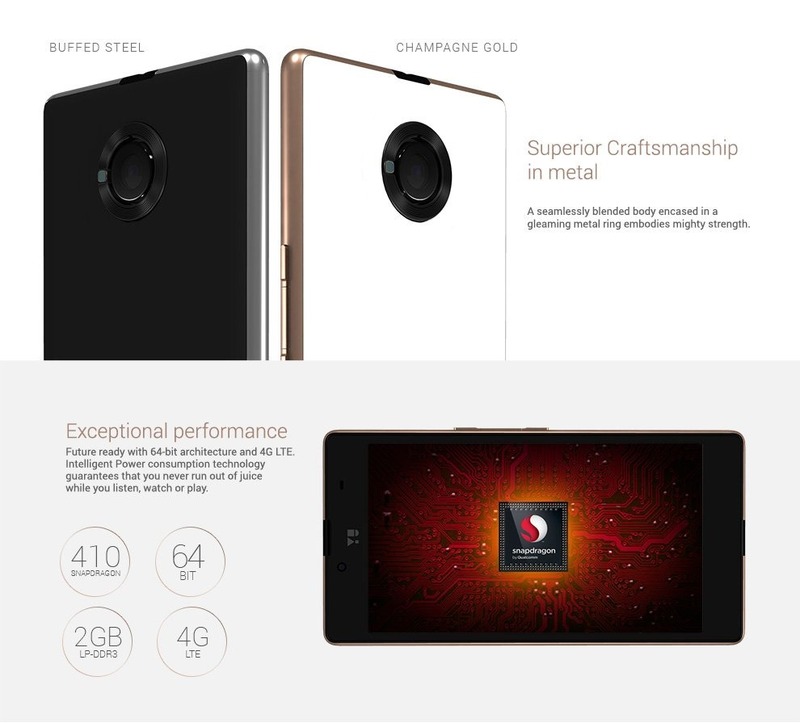 Let us first look at YU YUphoria specifications. Display 5-inch HD with 720*1280 resolution. Protection Corning Gorilla Glass 3 protection. Processor 1.2GHz Snapdragon 410 quad-core 64-bit. The amount of specifications that YU has offered in the device is really good when we try to look at price to specs ratio. The comes with a full metal frame which is absolutely amazing at the price that you have to pay. Even under the hood, Yuphoria packs a decent punch with 1.2GHz Snapdragon 410 quad-core 64-bit SOC coupled with 2GB of RAM. Also, the device comes with very high quality sound output not from just speakers but from ear-phones as well. Alongside this the another great point that Rahul Sharma told about the device is Fast Charging – It charges upto 60% in just 45 minutes. The fast charging capabilities are generally seen only few high end flagship devices at the present time. The YUphoria will be exclusively available on Amazon India, and registrations for the same have started from 5pm Today. YUphoria will definitely give tough competition for many excising smartphones out there at this price range. For our readers, we are taking the Xiaomi Redmi 2 to compare with YUphoria because they both offer almost similar specs and price tag. Display 5-inch HD with 720*1280 resolution. 4.7-inch HD with 720*1280 resolution. Protection Corning Gorilla Glass 3 protection. Corning Gorilla Glass 2 protection. Processor 1.2GHz Snapdragon 410 quad-core 64-bit. 1.2GHz Snapdragon 410 quad-core 64-bit processor. Connectivity Dual-SIM, LTE, Wi-Fi, Bluetooth Dual-SIM, LTE, Wi-Fi, Bluetooth. Price Rs 6,999 exclusively on Amazon. in/Yuphoria Rs 6,999 available on all major ecommerce stores. Along with YUphoria, company also announced two different product lines. However, the other two products were mainly focused on health and fitness. One of them is YU Fit and other one is HealthYU. YU Fit is yet another affordable fitness band from YU which comes with a price tag of Rs. 999 in India. YU Fit comes with an OLED display which can show your notifications, calls, text, messages, alarms, steps count, calories burned, sleep track etc. Also, the band comes with a dedicated fitness app which is really advance and superior to others. YU has worked with Healthifyme, a startup Micromax acquired just couple of weeks back. The company claims that their app is specifically geared towards Indians as it can count calories of Indian food, which can be got only by clicking a picture. The database of app is full with all Indian dishes which make it a brilliant move towards healthy living. The second product that YU launched was HealthYU, a health device that can record your ECG, Heart rate, Blood pressure, respiration rate, oxygen rate, body temperature among other things! The device is priced at Rs. 4,999 which is also quite amazing. Worst mobile which I have not seen in my life. Being the user of YU yuphoria for the past one weak facing lot of problems. Power button is not working, heating problem and sensor problem. My request to the buyers don’t buy this mobile and don’t waste your buck’s. very impressive!!! loved the features and the price tag! !